THE Brutalist Park Hill estate in Sheffield is like a metaphor for everything the city has been through in the past 60 years — battered, partially reinvented, complex and hopeful. 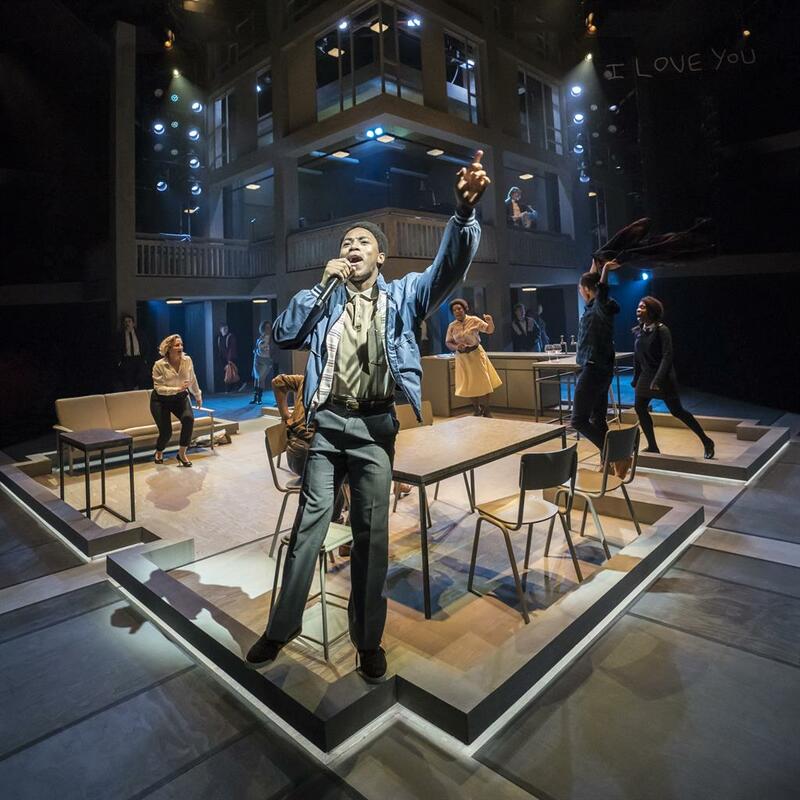 So Richard Hawley’s wistful Mercury Prize-nominated music, so often chronicling the South Yorkshire city he loves, is the perfect soundtrack to this new musical full of heart and warmth, tragedy and comedy. In Standing At The Sky’s Edge, Hawley’s old and new music amplifies the dramas of wonderfully convincing lives. Foreman Harry and wife Rose marvel at the new ‘streets in the sky’ in the 1960s. By the 1980s the unloved estate has become a prison for Joy, a Liberian refugee. And in the present day, southerner Poppy finds refuge from a failed relationship in the newly gentrified section, with all the awkward ironies and juxtapositions that fosters. Rather than present this sweep of history chronologically, director Robert Hastie and choreographer Lynne Page overlap stories in the same flat at the same time, highlighting that though the eras are different, the hopes, fears and indeed politics are just the same. And though the play’s in-jokes obviously celebrate Sheffield, it’s really about belonging, what we call home and the dreams of the people we choose to live with. Naturally, that means Standing At The Sky’s Edge makes no apologies for tugging at the heartstrings. But it does so with real soul.